With the wedding industry booming & growing everyday & so much choice, its no wonder brides can feel overwhelmed when it comes to picking the right artist for themselves. But there are a few things that really separate an amazing artist from the rest. I truly believe you get what you pay for. Quality of service, product quality and experience are things you should consider. Having being a bride myself and having worked with so many gorgeous bridal parties, I do realise when it comes to planing your wedding day, brides are not only searching for expertise or a particular style but are also wanting the best quote possible. In your search you may come across cheaper quotes, however our work speaks for itself. Your makeup and hair needs to last a 15 hour day. Through wind, hail or shine, through eating, drinking and dancing the night away. The reason we charge what we do is because of the high quality of work and products to ensure your makeup is flawless and endures the 15 hour day. 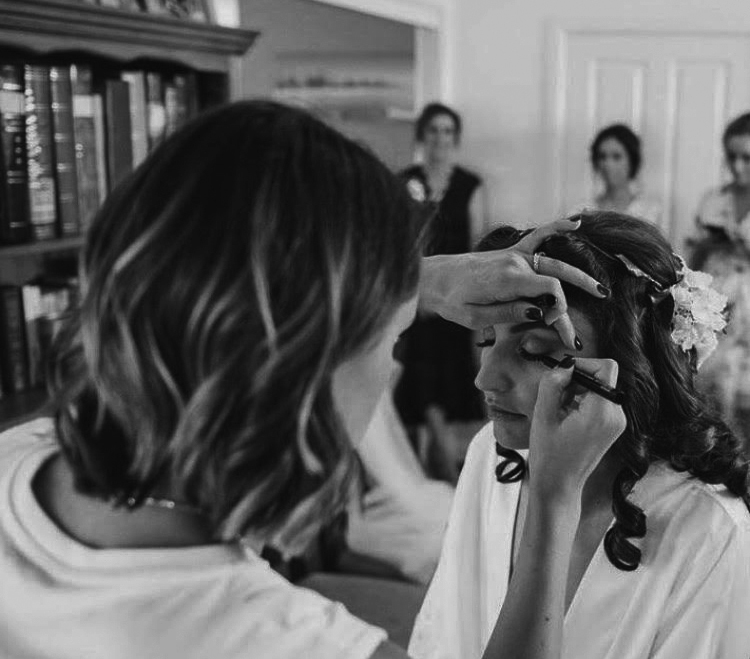 Most brides have their own idea of what they want their hair and makeup to look like on their big day. Our job is to create their vision perfectly. If however you are after suggestions or support to clarify your vision then we would be proud to assist you. If quality of service, products and expertise is important to you for your special day then you've come to the right place. We use only high end products such as Giorgio Armani, Bobbi Brown, Laura Mercier, Nars, Mac and the list goes on. Jessica Pavlovic Makeup & Hair is truly more than just a team of artists. Our passion is to provide an exceptional beauty experience. This means understanding our clients desires, and fulfilling their utmost expectations through, trust, expertise and a united vision. The most important aspect of our work is to assist you to become a confident, happy and beautiful bride. We would love the opportunity to take part in your special day!